Kim K is the latest star to grace the cover of Vogue Magazine. Her new feature is titled, The Awakening of Kim Kardashian West. She opens up about her plans to study law and her marriage to Kanye West. The reality star has revealed she's studying to become a lawyer. Obviously, this was inspired by her time fighting for Alice Marie Johnson who was jailed in Tennessee in 1996. She was convicted on non-violent charges of attempted possession of drugs and money-laundering along with 15 others. Kim however, met President Donald Trump in the Oval Office last summer. The pair came together to discuss prison reform and in particular, the case of Alice Marie Johnson. During their meeting Kim asked the President to grant clemency to Ms Johnson, who was handed a life sentence. Trump commuted Johnson's sentence and she was released. An emotional video of her running to family members outside the prison went viral. Kim tells Vogue that the decision to study law was not a decision she made lightly. Kim admitted that Kanye dressed her in the early days of their relationship. Kim opens up about her husbands mental health. Just last summer he shared a diagnosis of bipolar disorder with the world. However, he later told Donald Trump at a meeting that he was misdiagnosed. Kim however, has told Vogue that he has accepted he has bipolar disorder. 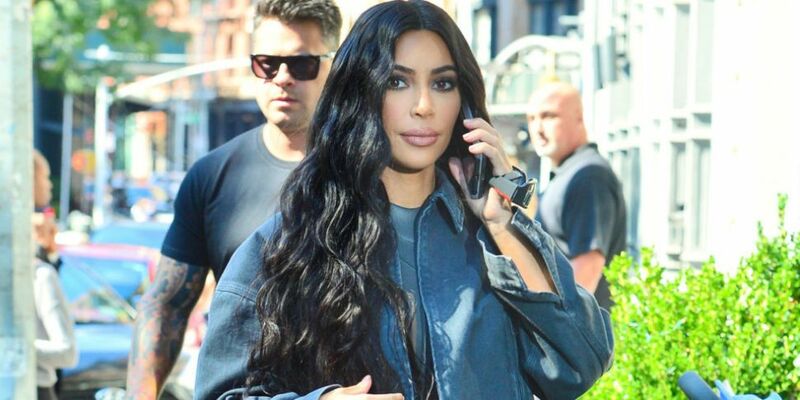 Kim will do everything she can to support her husband. Confirmed: Kim And Kanye Are Expecting A Boy Via Surrogate "Soon"